PE and School Sport has an extremely high profile at Saint Patricks Catholic Primary School. We strive to inspire all pupils to develop healthy lifestyles and succeed and achieve in sport and physical activity. Our PE Leadership Team consists of Mr Lowe (Year 5 Teacher) Miss Dollery (Year 1 Teacher ) and Mr Birchall (Part Time Sports Coach). Saint Patrick's is also part of the Wigan North Consortia PE Cluster Group. Alongside the lead teachers and sports coach, we are lucky to have a fantastic team of Play Leaders and Sports Ambassadors helping to lead and develop PE and School Sport at Saint Patrick's. The children at Saint Patrick's have access to a high quality P.E Curriculum. PE Lessons in Key Stage 1 focus on the Fundamental Movement Skills. Children are given opportunities to engage in competitive and co-operative physical activities in a range of challenging situations. In Key Stage 2, we focus on developing a broader range of skills and how to apply them in competitive small sided games. Children are encouraged to be reflective learners, evaluating and recognising their own success and achievements of others. The Saint Patrick's children learn to swim at Wigan Swimming Baths. During these sessions the children learn to swim competently, confidently and proficiently, using a range of strokes. They are given opportunities to perform safe self-rescue in different water-based situations. Ensuring all of the children in our school have the opportunity to learn how to ride a bike was one of the key priorities in our action plan. As part of the PE Curriculum, pupils in Year 6 access Bikeability Training. This course is ‘cycling proficiency’ for the 21st Century, designed to give the pupils the skills and confidence to ride their bikes on today’s roads. Children complete the Level 1 course in the schools grounds, whilst the Level 2 course takes place on the roads in the local community. In the Summer term, pupils in Year 5 have specialist BMX training on our school BMX track. These sessions take place with Dillon Clayton a former European and World Champion BMX rider. Dillon has shared his expertise with the teaching staff at school and the children can now access BMX riding as one of our organised physical activities at lunchtimes on our very own BMX track. This year we are excited to announce that the Year 1 pupils will be taking part in Bikeability Balance training too! Children participate in a range of outdoor adventurous activities, including high ropes and orienteering. We also offer a residential educational visit for Year 6 pupils. Year 6 pupils are invited to go to Boreatton Park. The objectives of this trip are to develop skills in outdoor adventurous activity, through teamwork and challenge. Children experience a range of activities, including quad biking, abseiling, kayaking, zip wire, giant swing, high ropes etc. We feel it is important that every child has access to a range of different sports and physical activities from a young age. At St Patrick's we take pride in the various sporting opportunities available to our children. As well as traditional sports, we also offer opportunities for BMX riding, archery, Change 4 Life, crown green bowling and many multicultural sports (such as Indian dancing). It is important that all children participate in their P.E lessons and to ensure your child has the correct school PE kit. Our school P.E kit requires children to wear a pair of green P.E shorts, pumps and a white t-shirt. During the winter term, children will also need an outside P.E kit which is suitable for physical activity in lower temperatures. This can consist of track suit bottoms and long sleeve sport tops. At Saint Patrick's competition has a high profile with children taking part in a range of inter and intra school competitions. Sporting achievements are celebrated every second Tuesday in celebration assembly. Children are encouraged to bring in certificates, trophies and badges they have achieved from outside of school which can be celebrated with the whole school. Reminder, these need to be current/recent achievements. Competition results will be sent out on our weekly newsletter. See our latest sporting achievements on our St Pats Sports Twitter page. At Saint Patrick's, we are committed to empowering children with the opportunity to take part in at least 30 minutes physical activity throughout the day. In addition to the P.E lessons and extra curricular clubs, all children take part in the 'Daily Mile', 'Wake up Shake Up' sessions and at lunchtimes all children take part in organised games. Themed events such as 'Healthy Lifestyles Week' enable all children to learn about the benefits of physical activity and health whilst taking part in a range of activities such as 'School Sports Day' and 'Wigan Warriors Sports Day'. We recognise that children need to be active at home as well as school and this year will be offering workshops for the parents to promote healthy lifestyles to allow them to work alongside us in empowering the children to live healthy lifestyles. Make sure you keep an eye out for physical activity challenges being sent home! We would love to hear how you've got on. Many children regularly attend after school sports clubs throughout the year. Children from across the school can access clubs in a wide range of sports including, football, tag-rugby, netball, hockey, basketball, BMX riding, athletics, cross country, rounders, kwik-cricket, table tennis , multi-skills and archery. We have also previously worked in partnership with Wigan Gymnastic Club who have helped us develop our competence in delivering a Key Steps Gymnastics afterschool club. Please check out the school clubs page for more information. 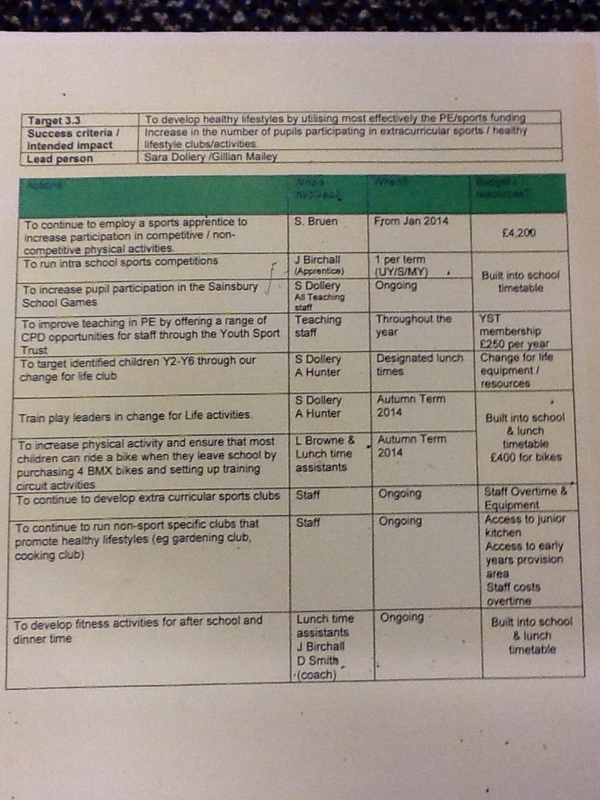 Any parents wishing to support school with extra curricular clubs, please see either Mr Lowe or Miss Dollery. St Patricks has strong links to many out of school sports clubs. If you know of any local community clubs that would like to get involved at school please come and see Miss Dollery or Mr Lowe. Physical Activity and P.E Policies.